Monkey Animal This Fashion And Cute Knee High Leg Warmers Will Be Your Favorite Choice For Accessorizing. Stylish To Wear With Boots, Booties, Over Stockings, Jeans, Leggings Or Skinny Pants. 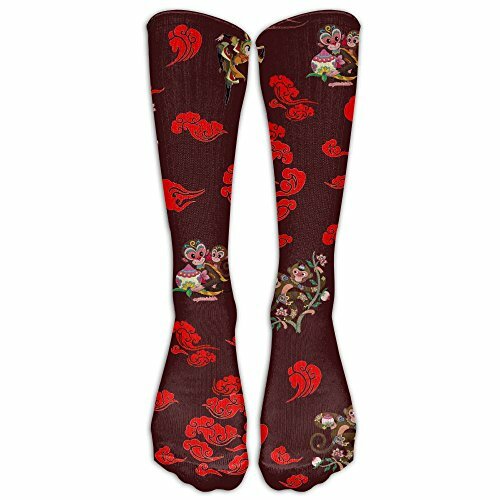 Our Knee High Socks Are Cozy And Great To Wear While Lounging At Home Or While Hanging Out At Night. Not Only Do Our Knee High Socks Keep Your Warm But Will Also Look Stylish. This Is A Must Have Socks For All Girls And Women. 78% Cotton / 20% Nylon / 2% Spandex. Unisex One Size-one Pair, Fit For Women's Shoes Size 7.5-12, Men's 5.5-10,Socks Bottom. It Can Be Worn By People Of Various Shapes And Sizes Even Height. They Go Up High Nicely, Stay Up Well. If you have any questions about this product by Jiushiwazi, contact us by completing and submitting the form below. If you are looking for a specif part number, please include it with your message.